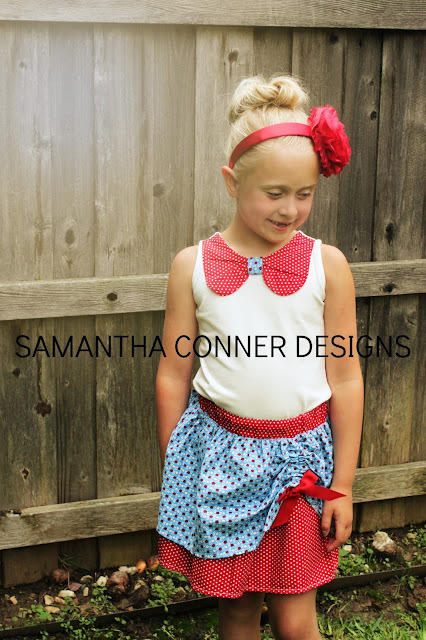 Celebrate the 4th of July in an outfit Made in the USA! 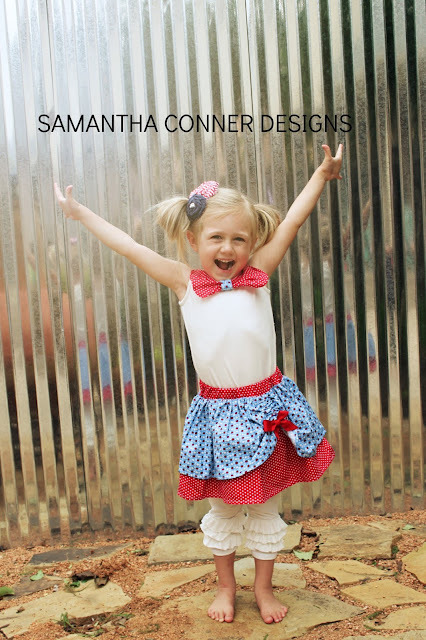 All products made right here in Texas! Available in sizes 2-10 and ready to ship. 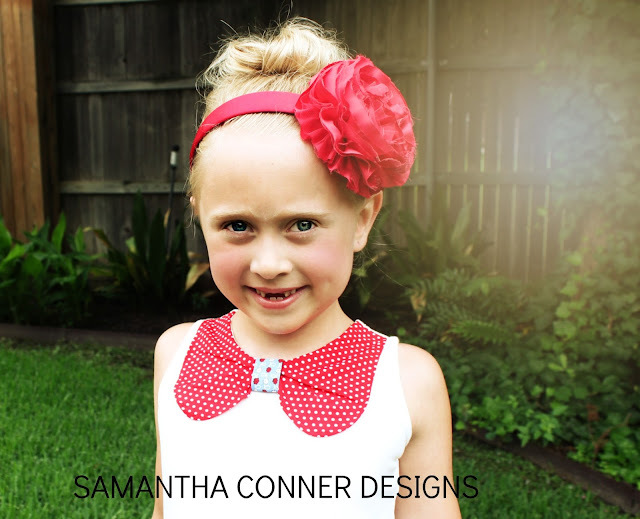 Keep reading to claim your coupon code- save $4 on your order with Samantha Conner Designs. 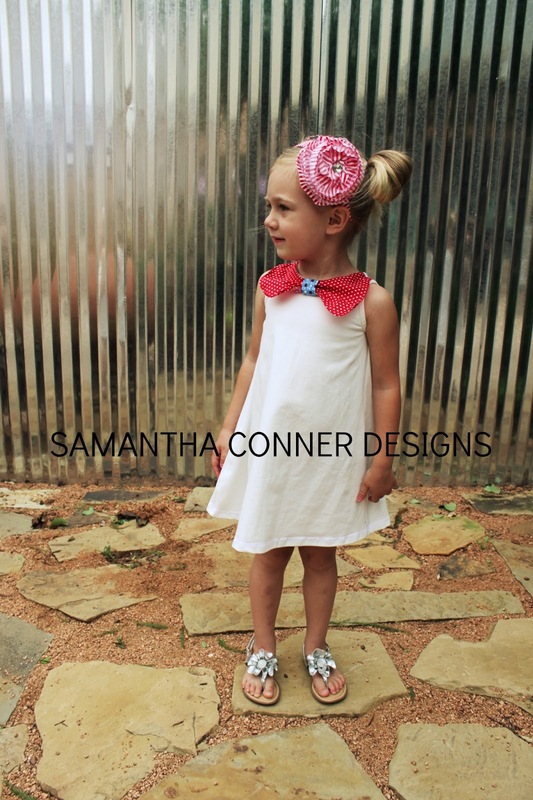 Headbands and "Summer Holiday" apparel styles ship for free. 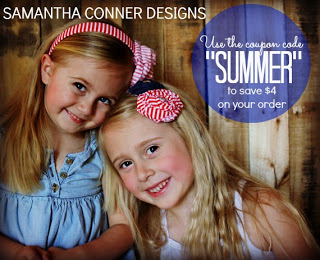 Save $4 with the coupon code "SUMMER". Those are totally adorable! LOVE them! The Scoop #71 with "Little Yellow Barn"
The Scoop #70 with "The Farmhouse Porch"
The Scoop #69 with "Making Home Base"